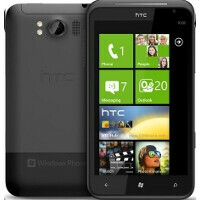 Faced with sideways demand for their Windows Phone handsets, manufacturers want to take the matter in their own hands. Samsung, HTC, ZTE, LG and Nokia Windows Phones are yet to break the 5% barrier in major markets, and sources say Taiwanese manufacturers blame this stagnation partially on Microsoft's strict requirements about the interface. They are allegedly pressing the software giant from Redmond to give them more leeway in designing custom interfaces that will allow differentiating their Windows Phone portfolio in the eyes of consumers, different from simply the branded Live Tile possibility or the occasional company app they have now. It will be interesting whether such request will jibe with Microsoft, which conceived Windows Phone with the idea for uniform experience across the board. I hope micrOsoft doesn't allow that.. What??? LOL wow. First you state your opinion as if its fact, and secondly you say the platform is dying fast? Is that why Nokia Lumia handsets are doing so well all over the world? Is that why AT&T is going to have the biggest marketing launch in their history for the Lumia 900? Wow. Yeah, the stagnation has nothing to do with marketing, or lack of true viable choices (1 windows phone on Verizon.. c'mon). Sure they put their own little crap on Android devices, but most people try to root it and take it off anyways. Some people don't even want Android skins, and they want to try to skin WP? what stagnation? WP7 had the largest year % increase last year of all the OS's. It may not have equated to huge numbers yet, but it will soon. Isn't Nokia already allowed to "tweak" WP7? If so, I think MS should allow other OEM's to do the same, but under one condition - users must be able to easily switch to default WP7 interface if they wish to do so. nokias tweaks so far have been better map navigation, and soon better camera tech. they havent touched the interface at all. There's no way they should be allowed to modify the interface. All the limitations set for Windows Phone has it own benefits. Microsoft sees WP 2-5 years down the road and where they want to be in the whole ecosystem- tablets, PCs, and smartphones, not so much just this year and next. The manufacturers see this quarter and this holiday season and the sales they need, too much pressure right now to settle for future rewards. Does kinda put them at odds. Microsoft needs them. There may have to be the Mobile version of the Great Comprimise. MS don't do it!!! Just look at Android, it takes over six months just to get an update. Stagnation, is due to the lack of devices available for purchase. As of this writing, Vzw only offers one, old windows device. Oem just want to load the devices with their own bloat ware; imagine if all oems sold vanilla flavor Android devices? umm, you do realize that its manufactures and then the carriers that slow the updates right? No matter how good the update, it has to get carrier approval first which takes weeks/months. Really true remix. US carriers in particular cause a lot of the delays because they load their software with a lot of junk and "bloatware". I think they should allow it.. At least let them change the tiles colors and looks, etc.. They are too boring as they are and I have seen some stuff that HTC could do with WP and it looks great ! Take a look at wpcentral app. Nothing short of boring. Good developers who take full advantage of mango can make their app look really nice. Its not the color, its the implementation. Remember, its live tiles. Hard to believe that custom interfaces on WP will revive sales...main issue with WP is it runs on year old specs when compared to Android/iOS devices...MS need to make sure atleast WP has comparable specs compared to competition. Now some may say...WP doesn't need dual-core cpu...and blah...well...let me give a example...windows7...runs fine on intel atom...but we don't buy notebook with intel atom...we buy one with fire breathing i7 and best Nvidia graphics chip...even if I have never utilized my notebook to its potential...but I like having a device with some big fat specs. Another "specs" person. Let's not get caught up in the idea of specs. Dual-cores and quad-cores and single core phones that still consistently run smoother or as smooth as all these Android superphones. The only need for dual-core maybe is in the gaming area and higher screen resolutions, but I'm no expert in all that stuff. Just saying. Microsoft needs to continue in the direction they're going with a unified experience. Have you seen some of the ICS updates with Touchwiz or Sense or whatever overlay? Not anything nearly as beautiful as what is offered on the Galaxy Nexus, and they don't even look much different than before the update. What the manufacturers need to do is take more advantage of securing exclusive apps like what Nokia is doing and expand on their own personal hub experiences like the HTC Hub. There's so much more they could do with that and still keep in line with the OS. Allow handset makers to make the home screen centred. How about manufacturers think of some new form factors OR how about they create exclusive apps for their Windows Phones.? Face it, manufacturers are just lazy. Look at the PC and laptop market: Windows 7 functions pretty much the same all across, however, many laptops come in different sizes, colors, specs, etc. The same could be done with Windows Phones.